The NASA Deep Space Network (DSN) is an international network of antennas that provide the communication links between the scientists and engineers on Earth to the Mars Exploration Rovers in space and on Mars. 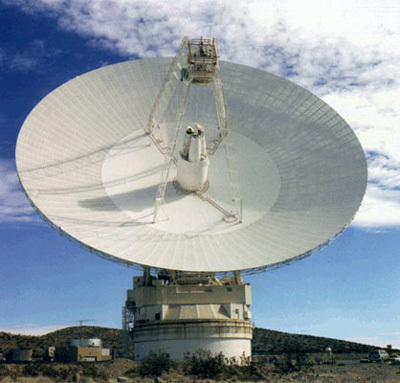 The DSN consists of three deep-space communications facilities placed approximately 120 degrees apart around the world: at Goldstone, in California's Mojave Desert; near Madrid, Spain; and near Canberra, Australia. This strategic placement permits constant observation of spacecraft as the Earth rotates on its own axis.